After 5.12 Earth quake in Sichuan last year ,Millennium ChengduStands up now , showing the new face and hope for Chengdu ans Sichuan . Here's a good trivia question: What do the Millennium Hotels at London's Grosvenor Square, Mayfair, Sloane Street in Knightsbridge and Kensington Road share with the new 360-room Millennium Hotel Chengdu? The answer is that they all have the famous London Taxi at their front door. The new Millennium Hotel Chengdu "will receive two new London taxis, a traditional black cab and a special Champagne-coloured cab, in time for the opening in late December 2009, as a welcome gift from our sister hotels in London," says Shaun Hammond, the hotel's General Manager. 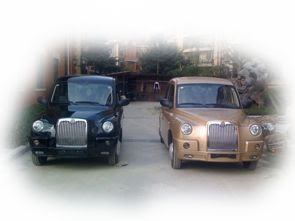 In a short word to make sure all the travellers are awared of this special cab service , Millennium Chengdu says: When visiting this wonderful city, don’t miss the chance to arrange a day trip to the Giant Panda Breeding Research Base, travelling in one of our exclusive London Taxis. It's a luxury not to be missed. "The arrival of the two cabs also supports our newly launched environmental educational programme, called Millennium Green," Hammond adds, "as they use the most advanced energy-saving emission reduction technology, and are 100 per cent carbon-neutral, as we completely offset the environmental pollution caused by carbon dioxide." As a new comer in China Hotel Industry , Millennium Hotel Chengdu, the newest 5 Star International Hotel, is centrally located in Chengdu’s sophisticated urban district and is 20 minutes away from the Shuang Liu International Airport . Surrounded by an extensive array of restaurants, clothing boutiques and recreation facilities, this hotel features 360 elegant rooms, with views towering above Shen Xian Shu Park and is of walking distance to Tong Zi Lin Road also known as 'The European Street'. Whether you need to access to the city's premier shopping area, the new International Exhibition Center or Chengdu Hi-Tech South Park. 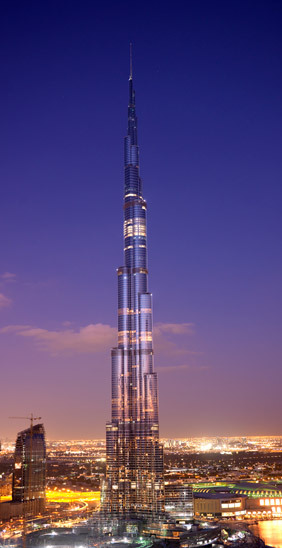 The shaking news broke the record of the distance of human being standing on earth , not flying , few days ago, as a milestone --- the Burj Khalifa( Burj Dubai). 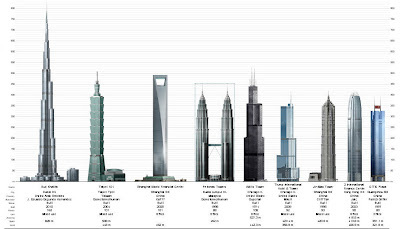 the 828 meters hight almost double the figure of the second hightest building in the world. The Millennium Hotels and Resorts Group makes further steps in China , more awards , more hotels , more recognition ! 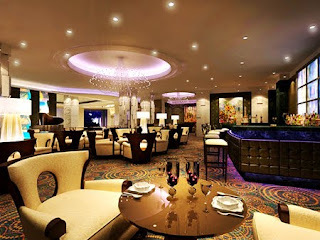 In the Chinabewswire.com , this is one of the conclusion of the year 2009 in hospitality Industry . With this news to open up the New Year , 2010! For its dynamic and outstanding performance in China during the year, Millennium Hotels and Resorts has been awarded the 2009 International Hotel Group Excellence Award by Hotel Professional Executive at the International Hotel Investment Forum 2009 held in Jinan, China. Millennium Hotels and Resorts' China hotels are strategically located in key cities such as Beijing, Shanghai, Xiamen, Wuxi and Qingdao. 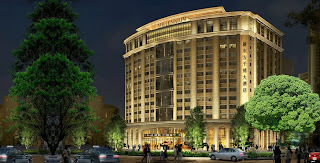 The group's sixth hotel, Millennium Hotel Chengdu is scheduled to open in January 2010. "We are indeed extremely proud to receive this award and I'm honoured to accept it on behalf of the group and all our hotels in China. We remain committed to our philosophy of genuine hospitality and take pride in meeting and exceeding the needs of our guests through exceptional customer service and outstanding guest experience," says Mr Charles Lai, Vice President – Sales & Marketing Greater China, Millennium Hotels and Resorts. During the forum, Mr Lai made a thoughtful presentation on "New Opportunities for Hotel Investment in China", and also made a brief introduction to the group's newest hotel brand, Studio M, which is scheduled to open in Singapore in April 2010. A modern refuge for a new generation of savvy business and leisure travellers, Studio M, epitomises chic and elegant living. The 2009 International Hotel Group Excellence Award is Millennium Hotels and Resorts's first award in China. Millennium Hotels and Resorts was established as a international hotel brand by Millennium & Copthorne Hotels plc to provide a common marketing and operating platform across its entire portfolio. One of the world's largest owned and managed hotel groups, this dynamic hospitality group operates a portfolio of more than 100 hotels worldwide, managing its network of properties through four key global brands: Grand Millennium, Millennium, Copthorne and Kingsgate. Grand Millennium hotels epitomise the very best in elegance and luxury with outstanding décor, world class facilities and the ultimate in personalised, gracious service. Situated in landmark locations across major gateway cities around the world, Millennium hotels have been created with timeless elegance, and are famed for their conference and banqueting offerings. Now firmly established as a true global brand, the iconic Copthorne hotels are recognised worldwide as the preferred choice for business and leisure travellers alike. With a fine reputation for the warmth of its service and their premium locations, our Kingsgate range is expanding across the world.